until he had done his own FSX Native version. Awesome! Much appreciate the conversion! BTW, which of the various Imgur settings do people use to post images on this forum? 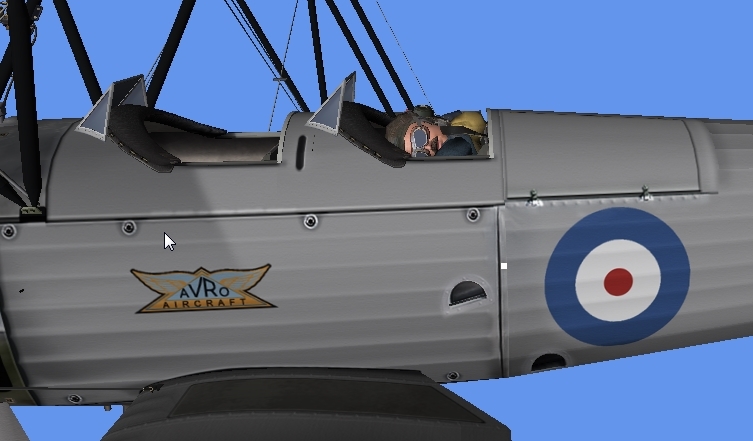 Out of curiosity, The old package is the Avro 621 Tutor, the new one is just the Avro Tutor, other than the cowl around engine is there a real world difference between them? Are they all Avro 621's? only one question: the Tutor Texture files are Bitmap files and not DDS. Work P3D 4.4 fine with Bitmap files??? only one question: the Tutor Texture files are Bitmap files and not DDS. Work P3D 4.4 fine with Bitmap files??? Many many thanks for you SuperB work. Nigel thank you so much för this beautiful plane. Yes bmp files works fine with P3Dv4, no need to convert to dds format. There was a bug in model.cowl folder. Just downloaded and tried the new native FSX files in FSX. Compared to the original port over, I no longer have the pilot animation (head movement). The nav lights (red and green) also seem to be missing. Using FSX in DX10. Hi Joe, no, not really all 621's, while the majority of the airframe is same, they do have different engines, Armstrong-Siddeley Mongoose 155 hp in 621, Armstrong Siddeley Lynx 180hp in Tutor. (Although some late build Tutors were in fact model 626 Prefect with gunners position faired over). Then there are the 626 Prefect, export versions got Armstrong-Siddeley Cheetah 230 hp engine, and then there's the 646 Sea Tutor (on floats),and then Polish built ones, which were wood, with Wright Whirlwind engines. Oh, and as things progressed, the Lynx engine got more hp, as did the Cheetah. As you can imagine, Magoo, myself, and Keith have had a bit of fun and head scratching to make them all similar but different to fly. You can redownload the files, to get the updates. the current state represents a compromise. so i have use the fx_vclight.fx variant in the aircraft.cfg. with that compromiss, until Nigel brings the real native version. 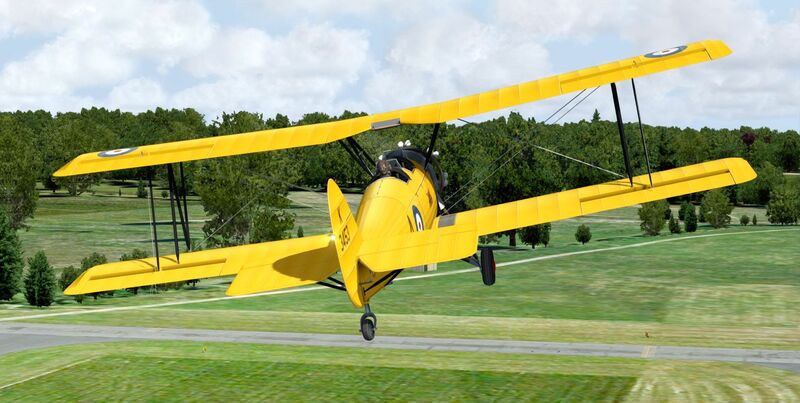 who will not be able to enjoy Nigel's Avros until he releases his FSX original native models. I see nothing wrong with that pilot.....other than he's probably experiencing the effects of Ouzo in the cockpit. ........And the pilot would wake up refreshed. Last edited by magoo; January 21st, 2019 at 18:19. Oh I like that. The sleeping pilot. Real pilots don't need nav lights! Having made several 'landings' in the Native Tutor I am wondering how on earth the pilots could see where they were going on approach? Perhaps I'm 'sitting' too low in the cockpit, but I can't see any runway in the last 50' or so. Did they side slip in to get their line up altitude correct? Yeah....a little side slip would help. In real life the pilot would lean out and look down the side of the aircraft to keep the landing target in view. I found I could do it by sliding my viewpoint around. Ctrl and the arrow keys (left/right/up/down) work quick enough to keep me happy. TrackIR users have an easier time if one wishes to spring for the hardware and wear a funny hat while flying. Generally you can't see the runway straight ahead if you fly a long final. Fly a close in base leg leading to a curved approach to a short final, and use a gentle side slip or gentle S turns down final. In the final few moments before touch down get used to looking out either side to keep straight and to judge your round out height. It becomes second nature, but don't ever stop flying until the aircraft is stopped. Reference is made in "Reach for the Sky" (Brickhill book) re: Bader witnessing someone he knew making a landing approach in a Tutor. Flying solo, and this man was a physically very imposing specimen, tall and well-built so his head and shoulders were well above the rear cockpit coaming. Bader knew who it was (a senior officer). As I think Nigel has stated in one of his write-ups on this airplane, it was the first in RAF service to have brakes. Apparently this man made a very good approach but forgot the brakes were included in the package and so was squeezing the hand brake without realizing it. Touched down and promptly flipped the aircraft over on its back. PS - I like the sleeping pilot, too. A relaxed atmosphere is conducive to learning.